Pin back fitting. Quality detailing. Here is two badges, "Welcome Home Our Heroes" pin is missing and a "Liberty Loan Volunteer" badge.with pin fixing. Here is a well made USAAC sweetheart broach, bullets in victory V with a sterling silver aviation branch insignia. Clutch back Phinny fittings. 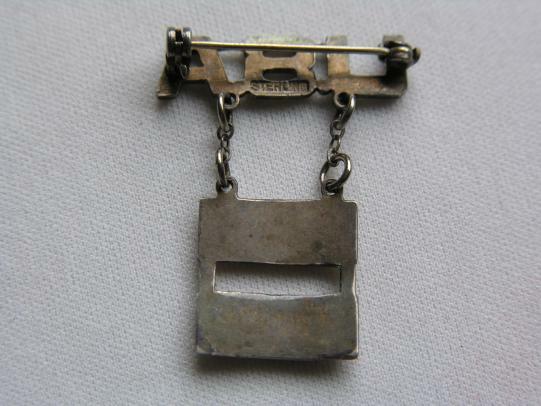 An unusual USAAC sweetheart brooch, pin back, solid strike. 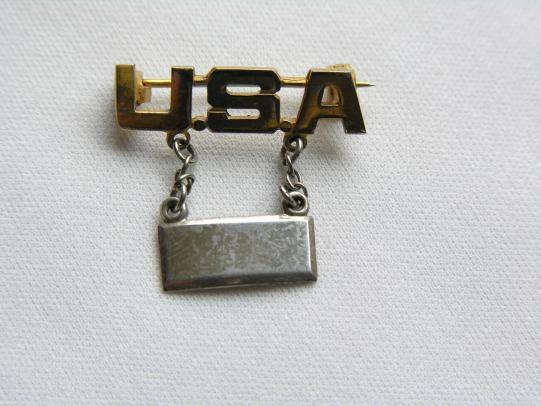 U.S.Army Captain rank Brooch, Pin Back in sterling silver. 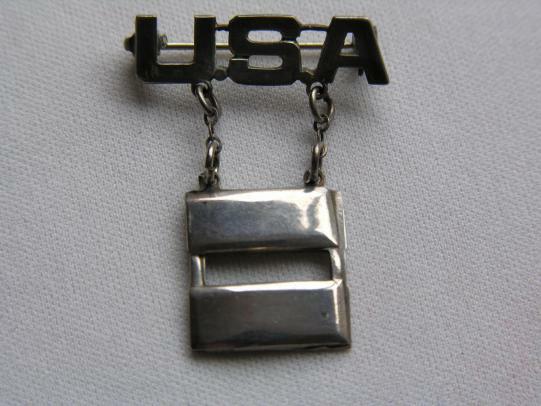 U.S.Army 1st Lieutenant rank brooch, Pin Back in sterling silver. 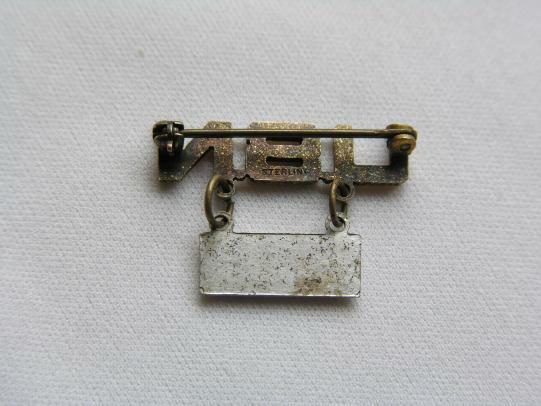 U.S.Navy Lieutenant rank Brooch, Pin Back in sterling silver. 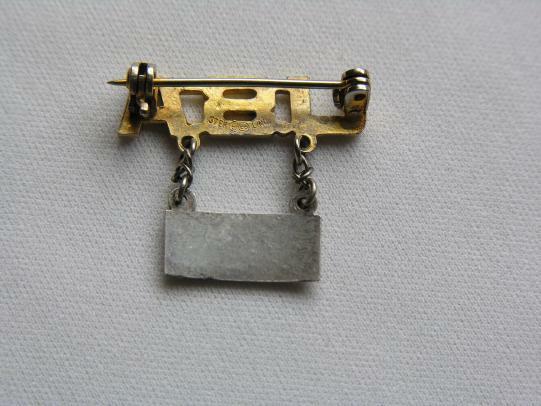 U.S.Navy Lieutenant Junior Grade Brooch, Pin Back in sterling silver.